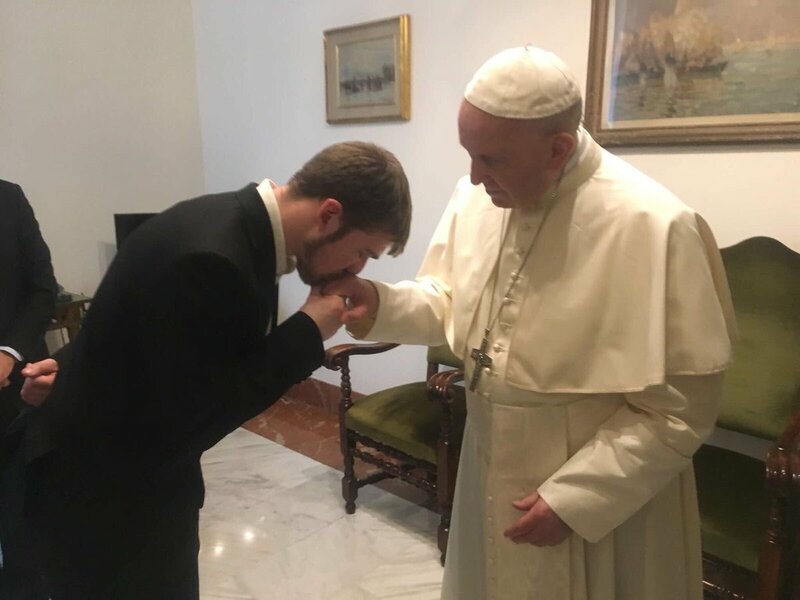 Pope Francis on April 28, 2018, expressed his condolences to the parents of Alfie Evans upon learning of the toddler’s death early in the morning local time in a Liverpool hospital. “I am deeply moved by the death of little Alfie. Today I pray especially for his parents, as God the Father receives him in his tender embrace,” the Pope said via Twitter. Alfie had been the center of an international debate over his care that included an offer from the Vatican’s Bambino Gesù Hospital in Rome, to assume the care — and expenses — of the ill child after Alder Hey Hospital said his condition was not treatable and he should be allowed to die. The hospital’s decision was upheld by UK courts in the face of repeated appeals by the parents, as well as concerned people around the world, including the Holy Father.